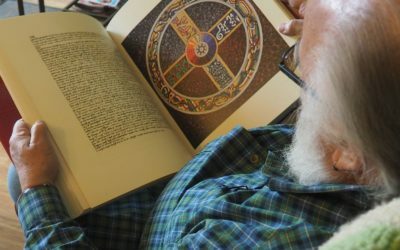 This is one of a series of interviews Cecile is doing for a forthcoming book that looks at shamanic practitioners who integrate shamanism into Western culture in interesting and unusual ways — ways that open our hearts and minds to what’s possible for spirits’ healing in our troubled world. 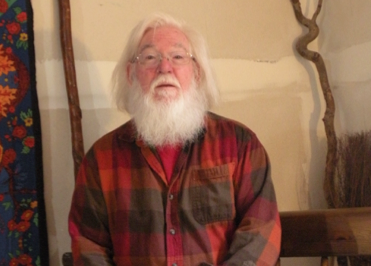 In “Santa the Shaman,” she talks with Mel Hunter, RN, about his shamanic practice as Santa in a suburban mall, as he intentionally merges with the spirit of St. Nicholas to bring through the true spirit of Christmas. Saint Nicholas, who became known as Santa Claus, is an actual historical figure. Born around A.D. 270 to a wealthy family in Myra in Asia Minor, he became well known for his anonymous gifts to the poor. Tradition has it that he left these offerings in the houses of selected recipients, sneaking in during the night to leave money or food in the shoes and stockings of children. He became a bishop in Myra, and many stories tell of his miraculous healings and good deeds to those in all walks of life. He is patron saint to children, sailors, prisoners, prostitutes and pawnbrokers, to name a few. Although he lived and was buried in Myra, his grave was moved to the heel of southern Italy in 1087 A.D. shortly before the Crusades. After the move, St. Nicholas became well known in western Europe,1and in Austria, Germany, Switzerland, Belgium, and Holland, December 6th is St. Nicholas’ official day. The festivals that celebrate it take many forms from culture to culture, and it’s considered just as important as Christmas day itself. In fact, it’s only in comparatively recent times that we have conflated the two dates — the 6th and the 25th — making the latter a general festival for the exchanging of gifts. The Dutch gave him the nickname of “Sinterklaus,” which became in English, “Santa Claus,” yet many of the Nicholas stories are not Christmas stories at all. Rather, for the most part, they reflect the various roles he plays year round as the patron saint of different aspects of life. 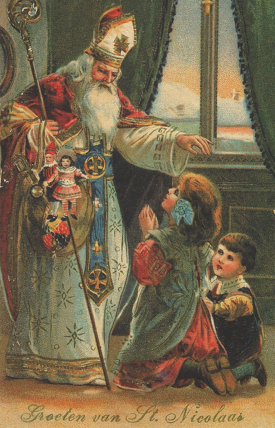 Saint Nicholas Blessing the Children, early 20th century Christmas card. Mel, you have been a nurse and an active part of the Boy Scouts of America for many years. Can you share your early experiences of shifting into the role of Santa? Twenty years ago when I was living in Michigan, friends of mine asked if I would do Father Christmas at a party at their house, and it went very well. Our parish priest was present, and she asked me if I would portray the historical Santa Claus — St. Nicholas of Myra — in the parish’s Christmas celebration. She took me through some of his history and historical significance to prepare me, and I did this for four years. Can you explain a bit about the difference between Santa and St. Nicholas and Father Christmas? Father Christmas is an adaptation of the pagan representation of the Winter King, who cares for those people that are poor and hungry. So making him into Father Christmas (Christian) was very easy, because it held the same sort of meaning. St. Nicholas and Santa Claus in reality are the same person, though Santa Claus now is more secular in nature because of the way our society represents it. But that’s not true everywhere else. When I moved from Michigan, another friend of mine, who had seen me in the role there, asked if I would do Santa Claus in their church parish in upstate New York where I now live. From my original portrayal, these friends said I looked like St. Nicholas, and I honestly don’t think I could be described as anything more noble than that. And it, too, went really well. Actually, during these 20 years, which started in my mid-forties, I’ve had people young and old recognize in me the persona of Santa. It doesn’t matter whether I’m wearing cutoffs and tee shirts at the town dump or in regular clothes. By my late 40’s my hair and beard were speckled gray, not white, yet somehow they seemed to see in me the spirit of Santa Claus. How did you first begin working as Santa in a suburban mall? In 2000, these same friends connected me to the person who arranges for the Santas at a large city mall in the area. When I was first invited to do this, I thought about it for a good year and a half before deciding to begin. And I’ve done it ever since. Of course, doing it in a secular setting like a mall is entirely different than portraying the historical Saint Nicholas. The biggest difference for me is that in a church or religious setting, people already have an idea of St. Nicholas, and you usually don’t get the mundane questions or requests. In a church, they’re usually much more appropriate and respectful because they understand that he was actually a saint, a holy man, and had many miracles attributed to him. What do you feel led you to begin to embody St. Nicholas in that setting? What led me to do this at a suburban mall is my love for children. And when children lose the mystery, the magic of the Yule season and Yuletide Christmas, they lose a very important part of their lives. Part of the deliberation for me before deciding to do Santa was thinking about how to bring St. Nicholas through so that people could feel his spirit, rather than trying to re-create the Coca Cola advertisement of the 300-pound, jolly old elf. I wanted people to understand that he comes in all sizes, all shapes, and his spirit is that of pure love. It’s the love of children, of people in need, whether adult or kid, and whatever race, religion, or creed — it doesn’t really matter. 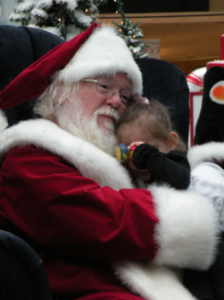 When I finally came to the decision to take on the role of Santa in the mall, the challenge was how do this and do it well for all of the kids so that they could feel the magic and spirit of the original saint. So how do you prepare yourself to bring through the spirit of St. Nicholas? Every year before I start, and at least once a week during Santa season, I do a shamanic journey to be with the spirit of St. Nicholas to allow him to flow through me when I’m with the kids. Then I pray and meditate and work with my shamanic tools before I drive into the city, because cities can be disruptive to spirit in many ways, especially a busy mall at holiday time. I also carry my walking stick and center myself each time when I arrive and before I go on set. Do you do anything once you’ve donned the costume? Oh, yes. As I put on the “uniform,” so to speak, I generally think about Nicholas, and I think about the things that for me are important about him, both historically and mythically. I ask that he be present with me and allow his spirit to come through, especially when children are of greater need than others. I have to admit, though, some days it’s much more effective than others. When moms or dads have been out shopping all day, and they want their kid to sit with Santa, I use my connection to St. Nicholas to help them to be still and quiet, without coercing them. Almost always there’s some sort of spiritual connection, whether young or old, between us when I’m sitting there. I know it’s true for some of the other Santas, too, but I purposefully go out to try and make that the experience for each person who comes. I also use my connection to St. Nicholas to try to attend to different ethnic communities who bring their children to Santa, though sometimes it’s hard for me to jump cultures while channeling him. Children pay close attention nonverbally to love, and I try to let each child feel Nicholas’ great love and compassion. How do you know when you’ve connected with a child at that level? It’s all in their eyes; their eyes just absolutely shine like, “Oh, my God, he really knows.” It’s not that I say things to trick them, but I might say something like, “I know you’ve been a good girl, and I know you’ve tried to keep your room clean — maybe you could try a little harder . .” And the recognition that I (the spirit of Santa) know that they’ve been good, that they’ve tried to do what they can, gives them just that little bit more encouragement that can make a big difference in their lives. They’ll come back year after year. Some of the kids that I saw 13 years ago have come back as college students, saying, “Thank you for being my Santa.” And I have people who travel from mall to mall to try to find me if I’m not where they think I should be, because they know the experience their kids have had. Sometimes I tell the kids when they ask for some things that might be more difficult, things that you can’t wrap up in a bow, that it might take a little longer than expected. I tell them that it may not happen this year, or maybe not even the next, to help them see the importance of patience. We talk, too, about the importance of believing that things can happen, even though you don’t think they can. I truly believe a lot of the magic around Santa is in the things that happen in your life that have no logic to them, things in and around the persona of St. Nicholas. A week before Christmas one year, I had a 16-year old girl whose story was heartbreaking. All she wanted was to have the Order of Protection lifted from her mother so that she could visit her over Christmas. I sat and talked with her for a little while and said, “Santa will pray for you and with you that this might be able to happen. I can’t say to you that it will happen, but I will pray.” So I said a short little prayer with her, and that night on my way home, I prayed again, as well as over the next week, that that be the case. She came back to see me several years later, saying that not that Christmas, but the following year, the Order was lifted and she could visit her mom over the holiday. Can you talk about how the parents experience you as St. Nicholas? Often they’re extremely grateful and very appreciative of what I do, and when they see the response of their children, you can see their eyes light up just like their kid’s. It’s amazing how many young men and women come to visit Santa Claus in their teens, twenties, thirties, and forties. I think it’s a testament to their faith and to my ability to bring through the spirit of Nicolas so that his love and compassion is always there, caring for them as who they are. What message do you feel St. Nicholas has for us in these material and disconnected times? I think there are probably more than two or three that come to mind. (laughs) But as I mentioned earlier, the biggest message is the importance of unconditional love and caring, regardless of station in life, gender, or religious background. As St. Nicholas, it doesn’t matter to me if they’re covered with tattoos or come in a burka. The other message is more an educational one, especially when young children say they don’t believe, or when I talk to people who are of other faith traditions. As St. Nicholas, there’s always something that just comes through me to say to them, nothing I really think about. The words are there; the spirit brings it through to let them know they’re loved every bit as much as a child who believes in Christ. It’s just one of those things that he transcends. Are there other educational pieces that are important? How are you perceived in the community of Santas? There are times that many of the Santas get together, usually after Christmas. 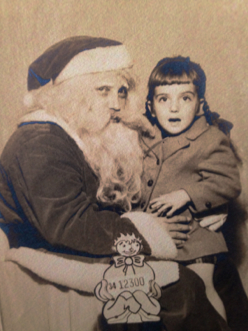 They’ve never actually said anything directly to me, but I do know that when I first started as Santa, I was the only one who had a beard and wore his hair long all year. Now there isn’t one Santa at the mall that doesn’t. So to me this is a testament that this makes Santa look more real. In all the time I’ve been Santa, I’ve never had any child pull my beard so hard that it really hurt, or pull my hair, and I’ve never had a child wet themselves or mess their diaper on my lap. All the other Santas have. I think they want to emulate how I look and how I behave, because those who didn’t act in a more professional manner ended up leaving within a year or two after I started. Most of us who do it are grandfathers, and we’re trying to behave as we would want someone to behave around our grandchildren — which is a good start embodying what St. Nicholas really is. They know I believe it all; they’ve talked to me off set. I always bring a book of Celtic prayers or something like that to read just before I go out on set every night. They’ve seen it. I’ve gone so far as to put it on the table where they keep their extra Santa paraphernalia, and often I have a little tiny porcelain tea light holder with a candle lit while I’m there. 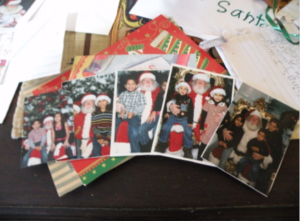 They get the idea from me that I’m not playing Santa, but being Santa; at least, that’s the impression I have. You’ve worked as Santa Claus for about 20 years. How has this experience impacted your shamanic work? First of all, it’s what led me into it. I was doing some shamanic work before, that I didn’t know was shamanic work, but it led me into more formalized shamanic training and experiences to create some of the healing methods I use. A lot of what I did as a registered nurse in my career for 44 years was that — a simple holding the hands of people who are dying to ease their passing, of being with children and finding they would stop crying and be more peaceful, and also of being in the mental health division at the Veterans Administration (VA) hospital and finding my patients would recognize something different when they were with me in comparison to many of the other nurses. Some of the more violent VA patients wouldn’t be violent when they were with me; some who wouldn’t talk about past experience would sit there for hours talking to me about their experiences in Viet Nam, or Korea, or WWII. I think part of that is because the spirit of St. Nicholas represents the calm in the storm. When I connect with him, regardless of the season of the year, it helps to radiate a sense to others that “I’m consistent; I’m here; I’m calm.” Over time, it has even calmed my own irrational behaviors and short temper and bombastic manner. I’ve actually become much more soft-spoken than I ever used to be. I remember a friend who said that as we mature in our inner work and our shamanic work, we move beyond the binary now-I’m-doing-shamanism and now-I’m-doing-other-things, and the two become merged. When they’re merged, it feels to me like I’m not doing anything. Yet if I sit back and reflect, I recognize I really am doing something. It becomes who I am, not what I am. He’s the bridge — Santa is a bridge between the two worlds. I know a lot of today’s Christmas celebrations pre-date Nicholas and merge with more ancient winter solstice ritual and festivities, many of which were designed to placate the sun to return for the second half of the year. Our current holiday still contains shamanic ritual and pagan rites that are firmly entwined with religious observance. 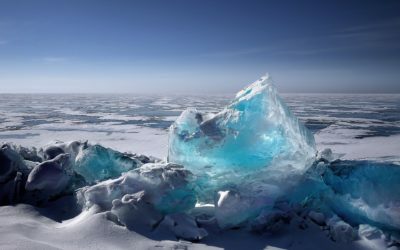 In our local shamanic journeying circle, we’ve begun a tradition each year of journeying in a similar manner as the Sami around the time of the Winter Solstice. We make a “sleigh” of chairs and pillows in a rectangle surrounded by “reins,” journey to the sound of drumming and sleigh bells, and take spirit flight over the North Pole and through the Big Dipper. We set our collective intention to go the Upper World to bring gifts of gratitude to our Helping Spirits, and then ask what our “marching orders” are from them for the coming year. 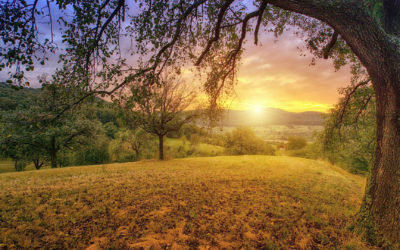 It’s something we all look forward to in this season as the darkness deepens in ordinary reality; we remember our collective connection to other times and cultures that rekindles our human spirit and turns our minds and hearts to the coming light. 1. Matthews, J The Winter Solstice: The Sacred Traditions of Christmas, Quest Books: Wheaton, Ill, 1998. 2. Carus, L The Real St. Nicholas: Tales of Generosity and Hope From Around the World, Quest Books: Wheaton, Ill, 2002. 5. Matthews, op cit, p. 116. 6. Matthews, op cit, p. 118-119.